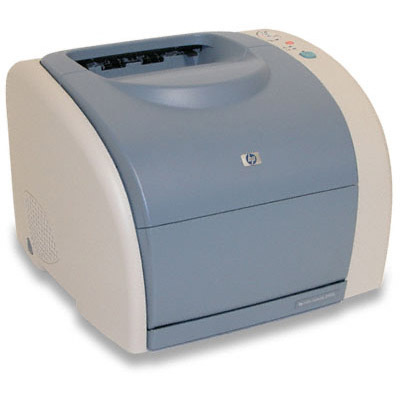 The HP Color LaserJet 1500 is a sturdy workhorse printer that can produce text documents at a speed of 16 pages per minute (ppm) and color print work at 4 ppm. This color laser printer comes with two paper trays, making it easy to alternate between standard-size paper and different sizes for special print projects like envelopes, labels, or postcards. This printer is ideal for a midsize office; its black toner cartridges have a page yield of 5,000 pages and each color cartridge prints up to 4,000 pages. No matter what type of projects you and your officemates are working on, this printer can handle it all with grace and speed. When you need toner for an HP Color LaserJet 1500 printer, you want a dependable cartridge that can keep up with your workload. 1ink.com’s remanufactured HP 121A toner cartridges are just what you’re looking for. They come in black, cyan, magenta, and yellow. They’re easy to install and produce the same stunning results as original equipment manufacturer (OEM) HP toner at over 50% off the OEM price!